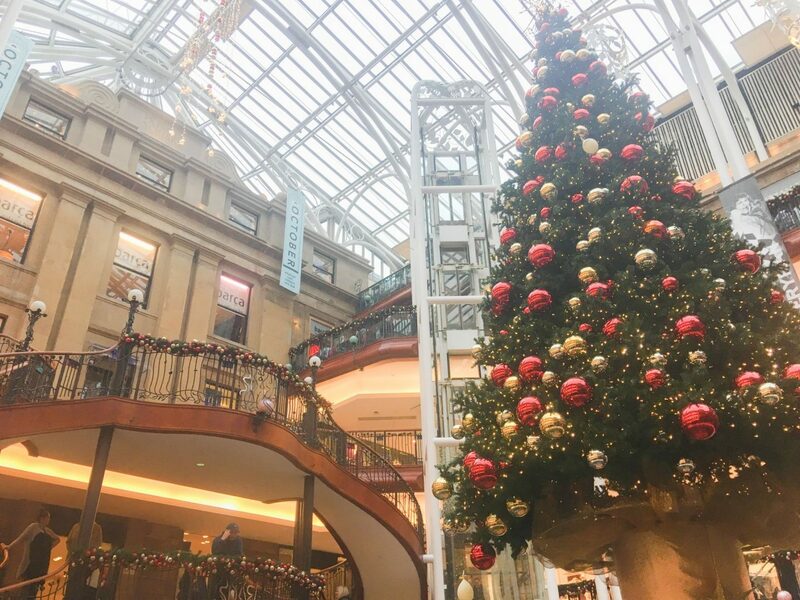 Last week, the Glasgow Life team at Glasgow City Council took me on a day out, with some fellow bloggers, to experience what Glasgow has to offer at Christmastime. Their marketing slogan is ‘Glasgow Loves Christmas’ for a reason, as there are so many fun, festive things to do across the city. In typical Glasgow style, the weather was horrendous. It rained all day and we all got absolutely soaked. That didn’t stop us having a good time however. 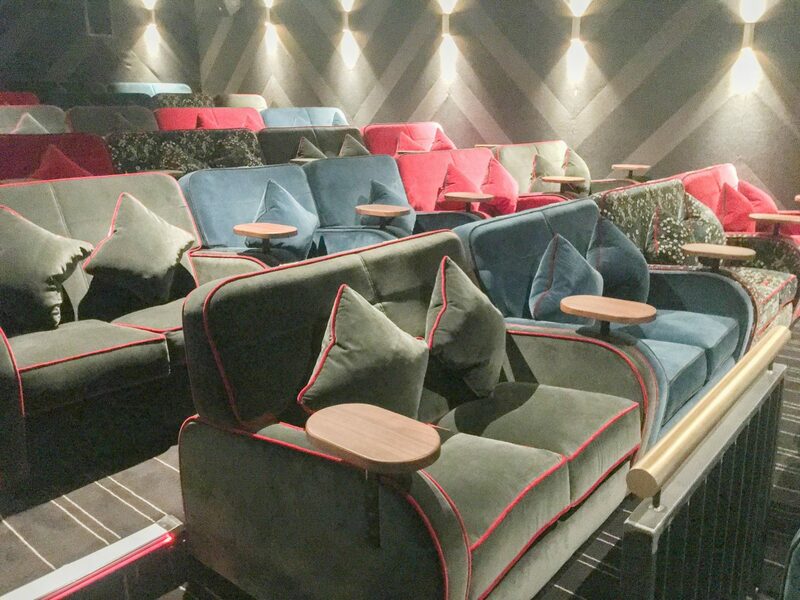 One of the first places we went to was somewhere that I had actually been the night before – the new Everyman Glasgow cinema at Princes Square. 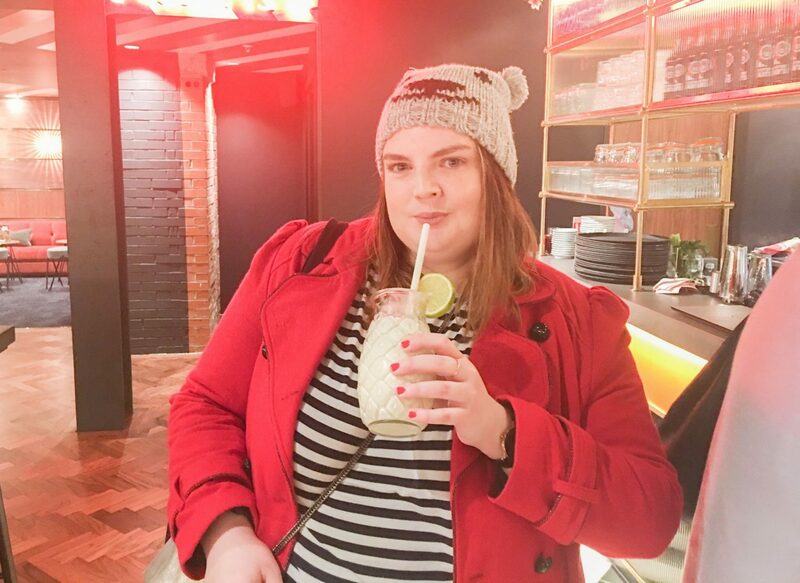 This is a luxury boutique cinema with comfy sofas and amazing cocktails – the Pina Coladas were the best i’ve ever tasted. Everyman also has a great food menu. It’s a bit more expensive than your average cinema, but it’s all very reasonably priced for what you get, and I think it makes the cinema experience so much more special. As well as the current blockbusters, Everyman Glasgow also have a series of classic Christmas movie screenings to get you in the festive spirit. 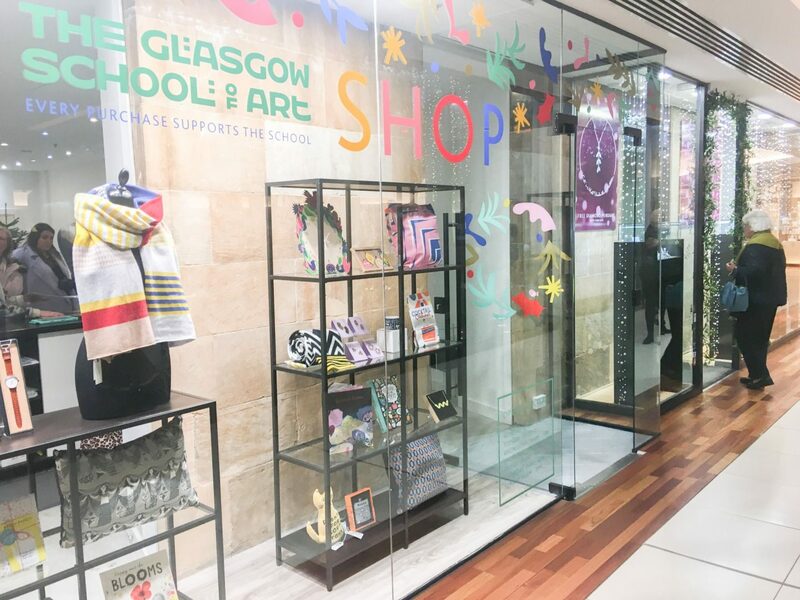 While we were at Princes Square – Glasgow’s luxurious and stylish shopping centre – we also went to check out the Glasgow School of Art pop-up shop. You may have seen in the press that the art school has a huge fire and suffered extensive damage. 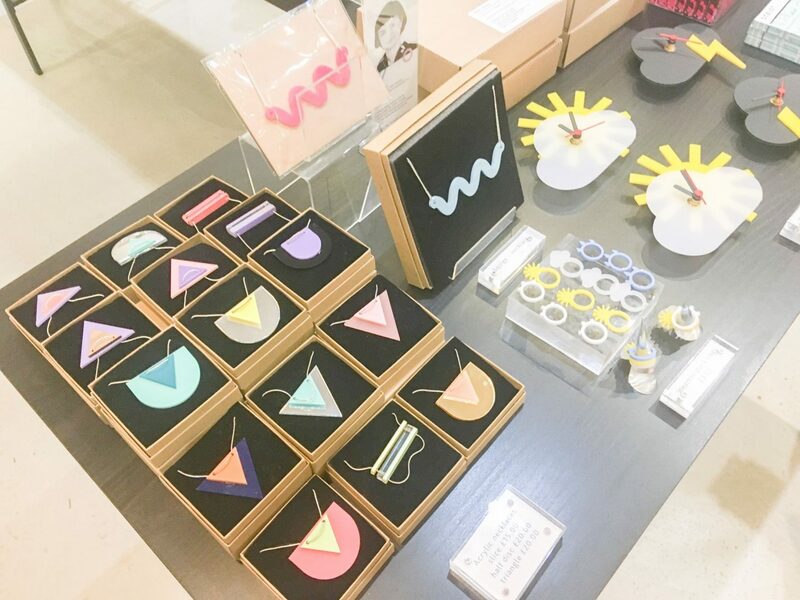 This meant that their in-house shop couldn’t be accessed, so they’ve set up a temporary retail base at Princes Square – putting it right infront of customers buying their Christmas gifts. There are lots of potential presents inside, and everything has been designed by former graduates of this art school and other art schools in Scotland. It’s a great opportunity to find something unique and special. 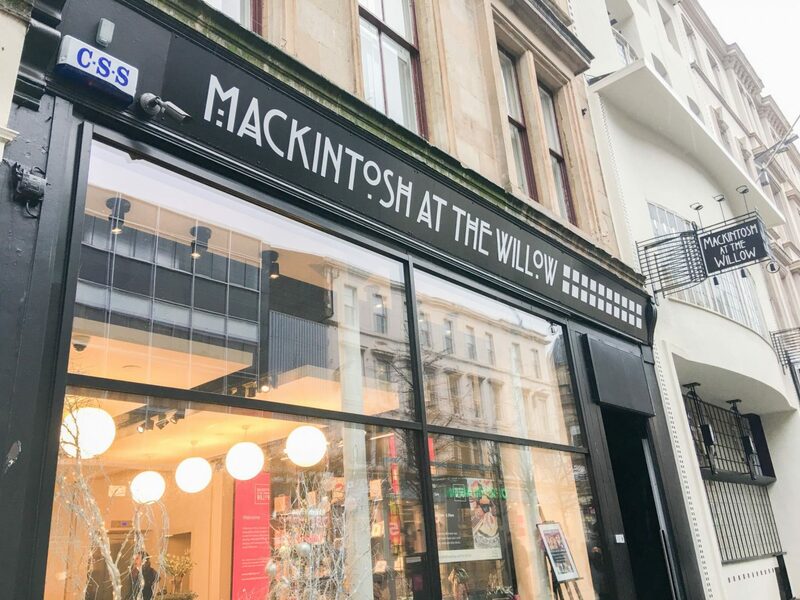 A great place to take a shopping pit-stop in Glasgow is the Mackintosh at the Willow tearoom. 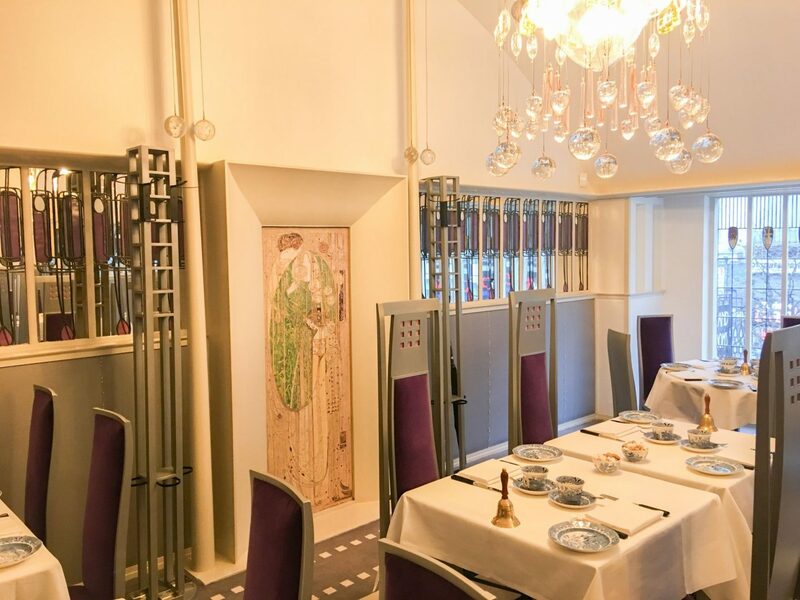 It was designed by Charles Rennie Mackintosh and features beautiful interiors that showcase his style and designs. 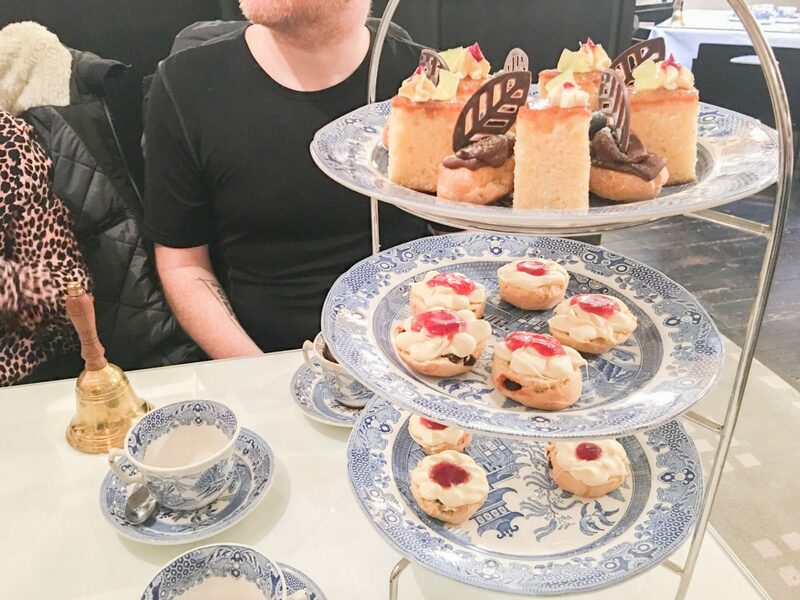 You get little bells on the tables to ring for service, and afternoon tea is served on the prettiest china. It’s a really special experience, and you can learn so much about Mackintosh and his influences in their in-house exhibition too. 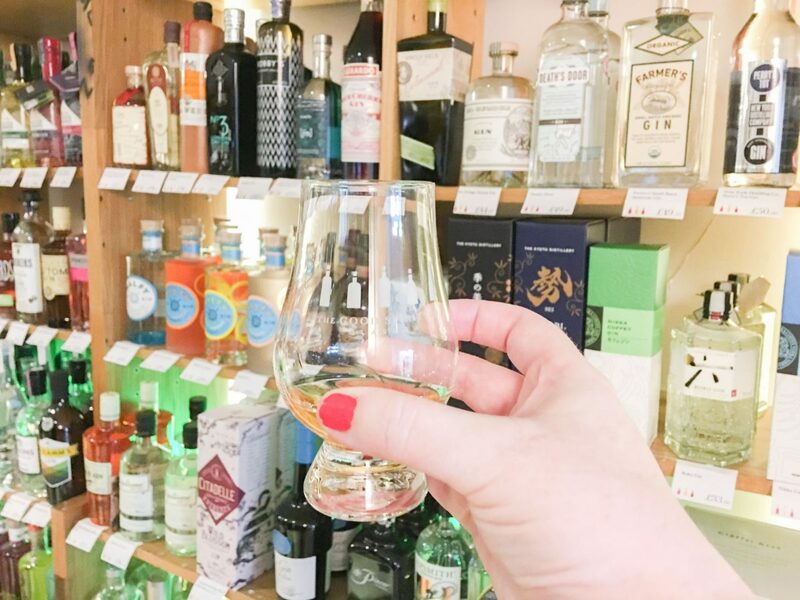 Another shop in Glasgow that is well worth a visit if you love your spirits (the alcohol kind!) is The Good Spirits Co on Bath Street. 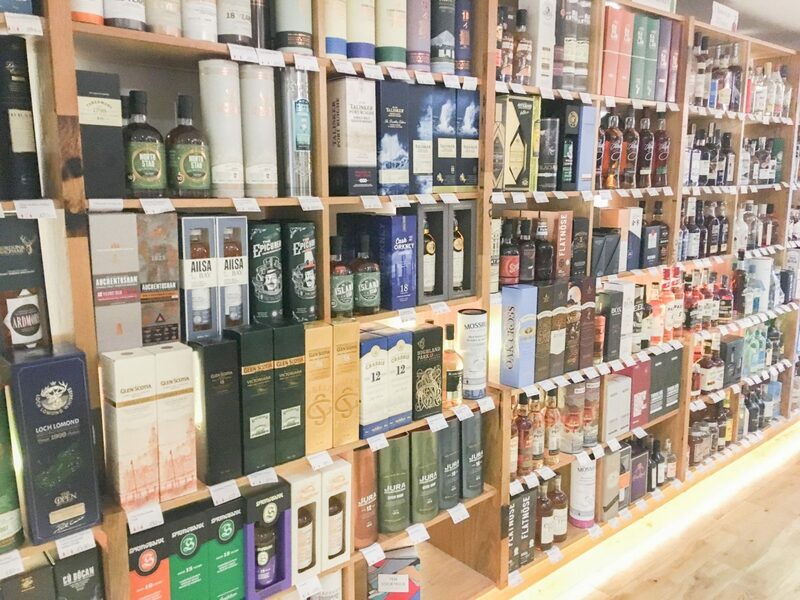 From whisky to gin, they have walls and walls of choice. They also bottle their own whiskies from very limited casks, and create their own bottled cocktails too. They have everything that a spirit connisseur could possibly want, as well as some unique Glaswegian products. 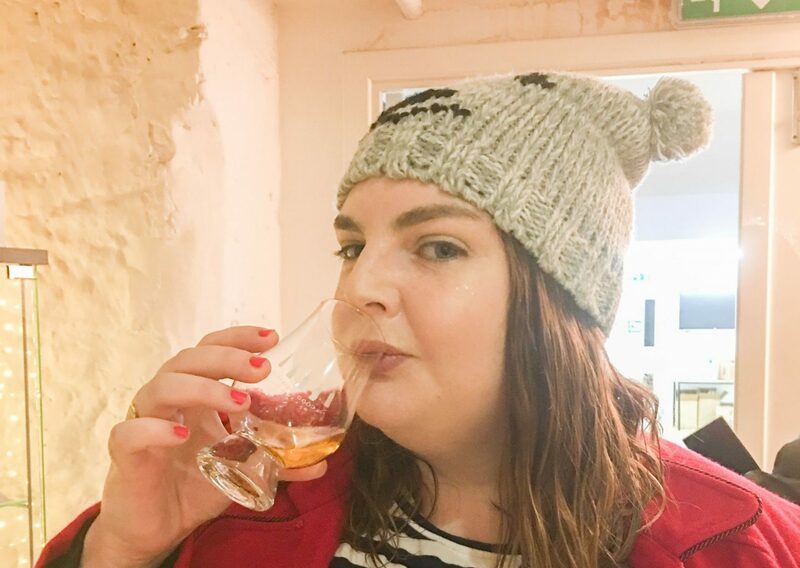 We enjoyed tasting whiskies and learning about the testing experiences they sell gift vouchers for. 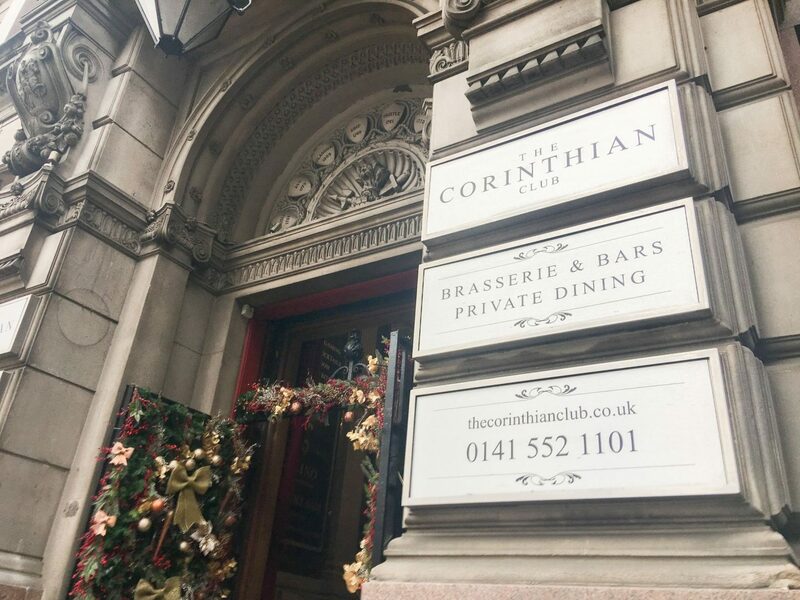 After all this running around, we headed for lunch at the Corinthian Club. 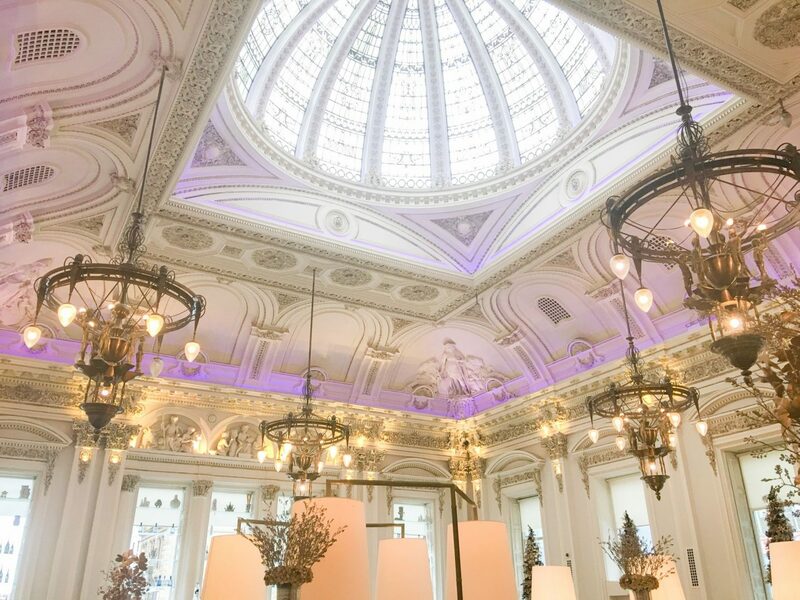 This stunning building is home to several bars, as well as a nightclub, restaurant and casino. We had lunch in the main room that has a beautiful domed ceiling. I went for something comforting to eat since I was soaking wet and cold from all the rain. 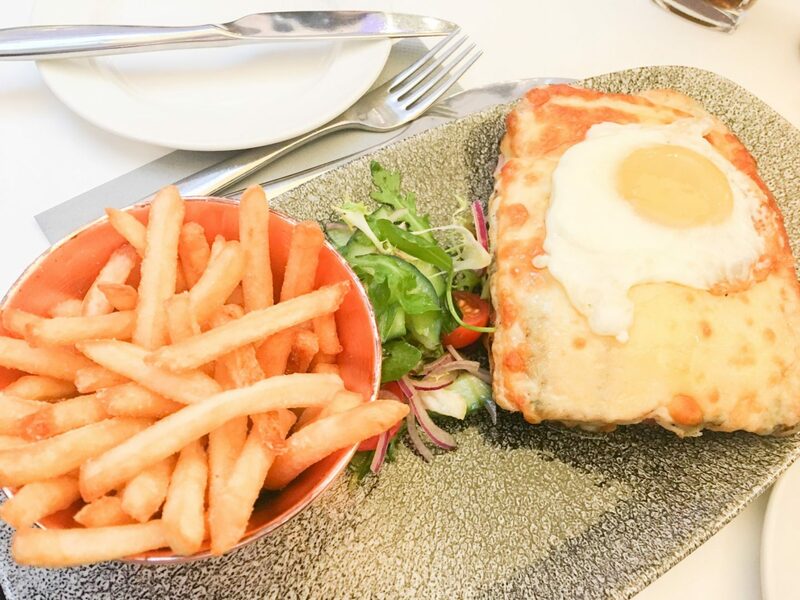 Their Croque Madame was delicious and very affordable. It’s a really pretty and stylish place to stop for some food or a drink. 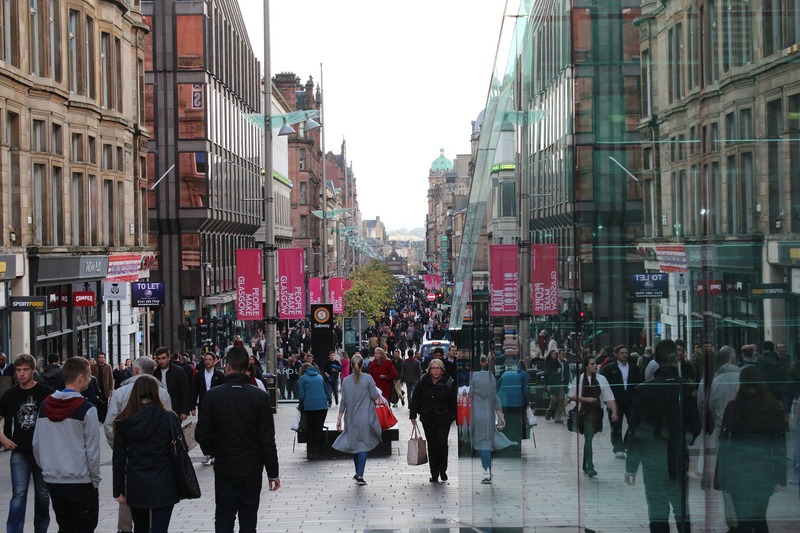 Glasgow has some of the best shopping locations outside of London. I also picked up some Christmas gifts at John Lewis & Partners – their Christmas homeware and decorations are stunning, and they have an amazing beauty hall too. 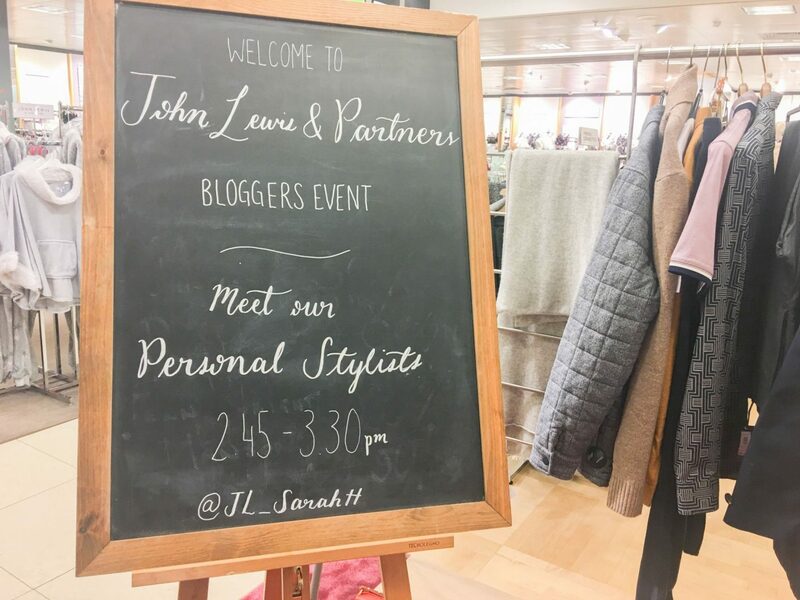 If you’re in John Lewis, you should make use of their free personal stylists. 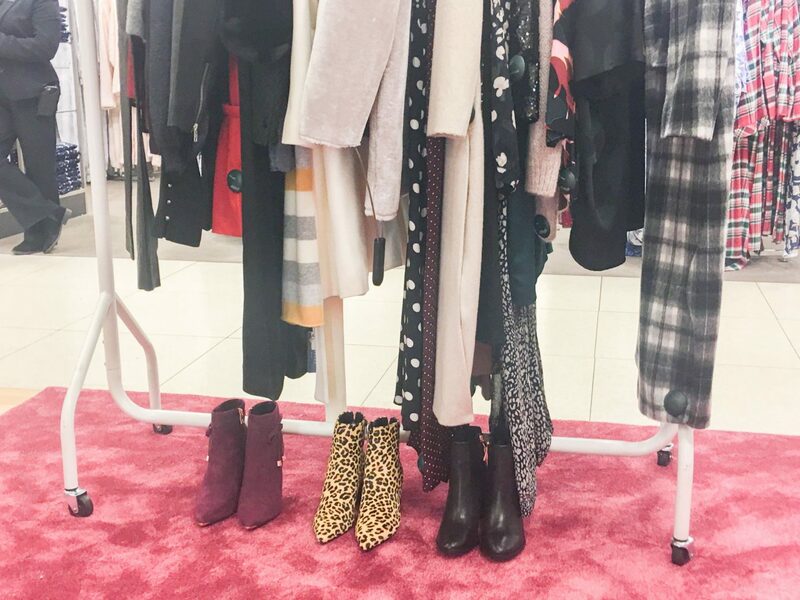 They’ll help you find an outfit, and there’s no obligation to buy anything. 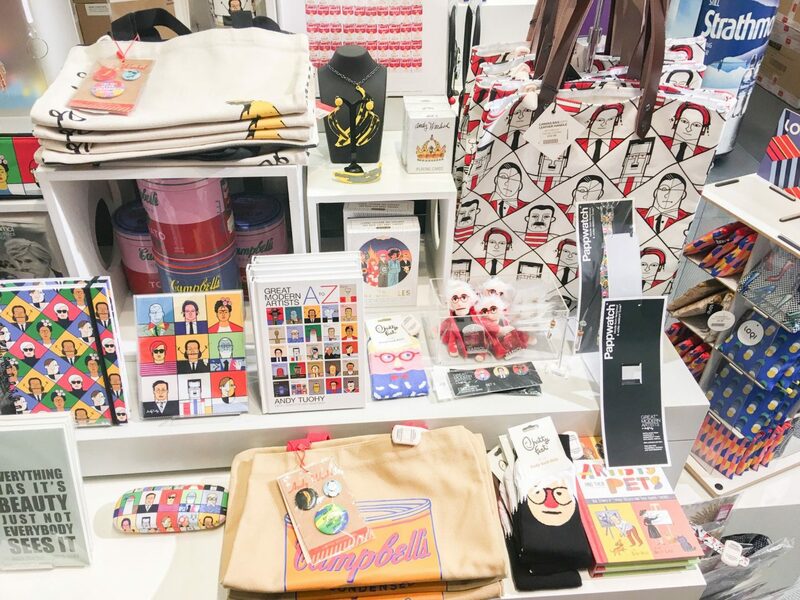 Glasgow also has an amazing shop at the Gallery of Modern Art – it’s full of fun, quirky art and Glasgow-related gifts for all ages. My last stop of the day (I had to leave early to appear on BBC 2’s Timeline programme) was the MAC store at House of Fraser. 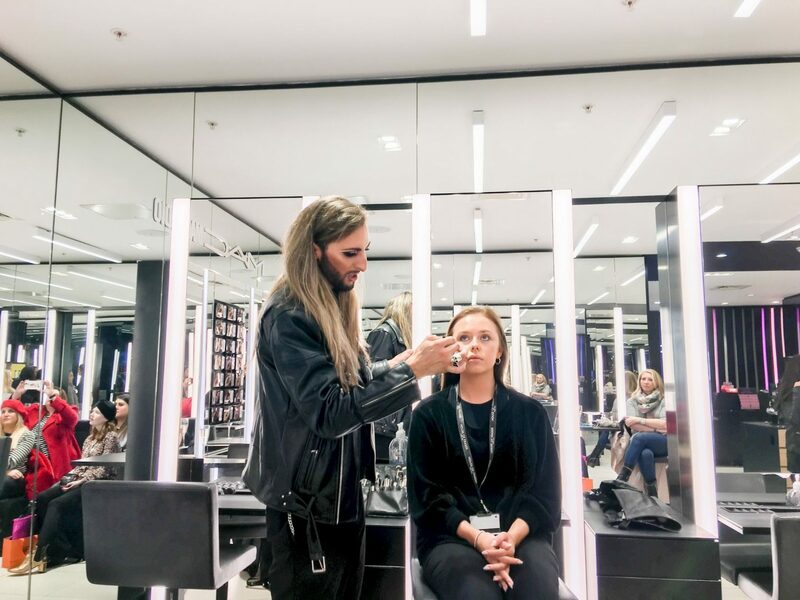 Makeup is an obsession of mine (as you can tell if you follow me on social media or read this blog), so I loved watching a demonstration from MAC Pro artist Marc Sinclair on how to get a glowy-skinned, festive look. 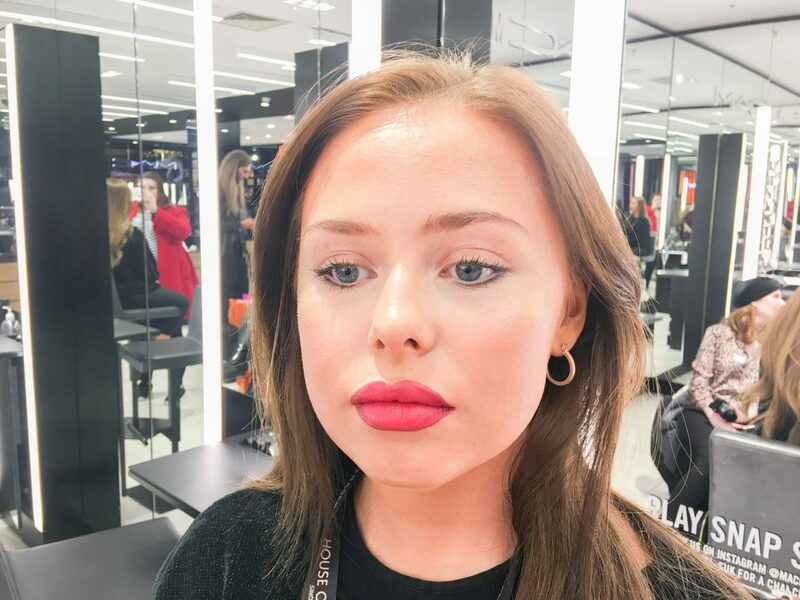 I learnt a clever way to line and fill my lips with colour for a fuller and more defined pout, so i’ll be trying that out soon. The rest of the group went off to the Christmas markets at George Square while I headed to the BBC. I’ve been to the Christmas markets a couple of times this year now, and I can really recommend them. There are some amazing crepes at the St.Enoch Centre market, and delicious pork Schnitzel rolls at the George Square market. If you are heading to Glasgow this month, you don’t want to miss them. 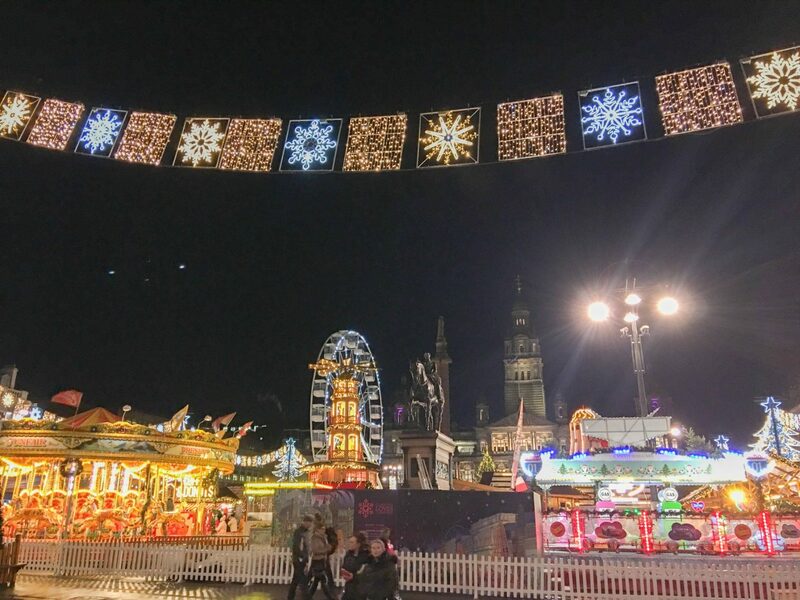 To find out more about what you can get up to in Glasgow over the festive season, head to the Glasgow Loves Christmas site to see what’s on. Everything in this day out was given to me on a complimentary basis, but all opinions are my own.